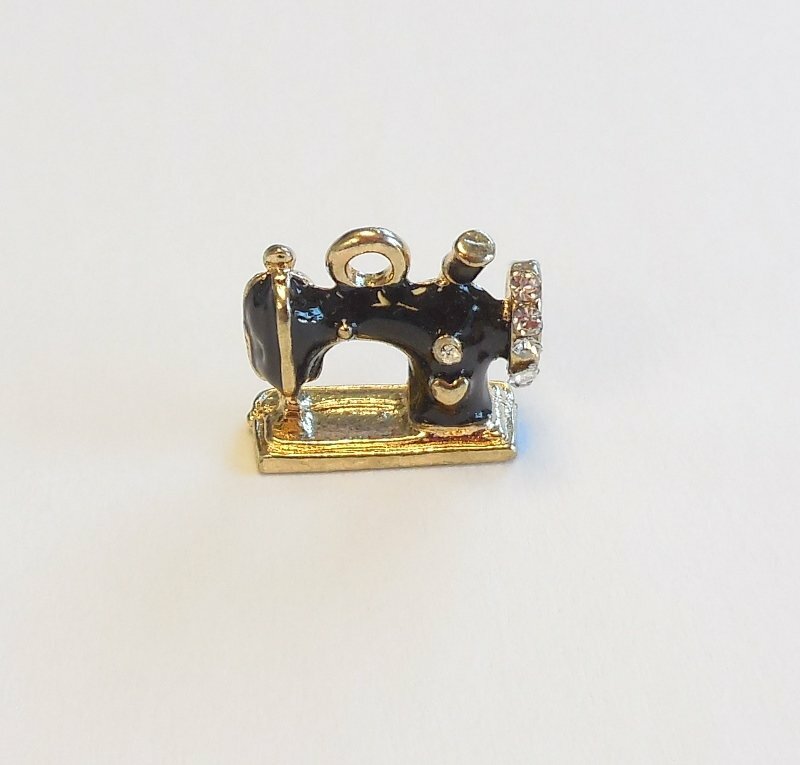 This black and gold sewing machine charm is adorn with tiny rhinestones. It is made of a base metal and is one sided. It measures 11/16" by 1/2".